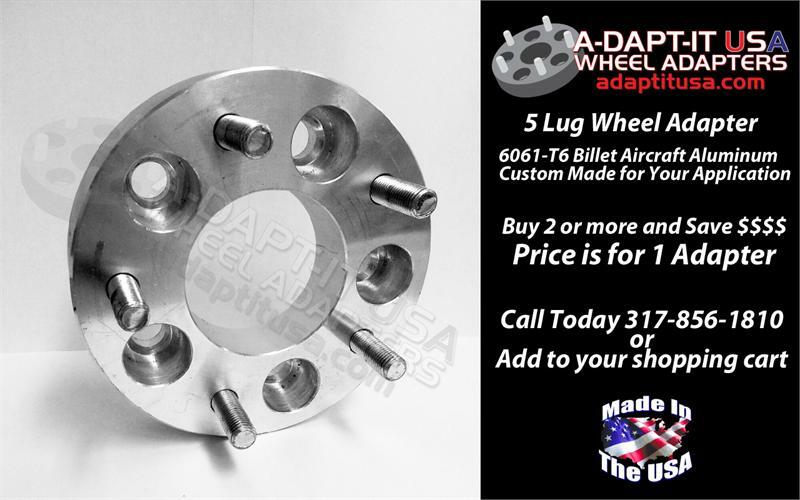 A-DAPT-IT USA Wheel adapters are made from 6061-T6 Billet aircraft aluminum. If this material is strong enough for a stealth bomber it is strong enough for you. 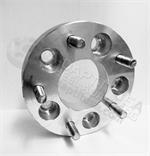 Every one of our adapters come standard with 12x1.50 American Made, Heat Treated, SAE Approved, OEM quality studs pressed into the adapters. Each adapter is hand built to your specifications upon ordering. This Set of adapters is a premade set that is on the shelf and can ship with in 24-48 hours . It may have some small scatches or knicks.